Organize and/or support educational forums and programs that specifically address Heath & Safety issues/concerns in our schools and the community. Organize and facilitate health and wellness programs at the schools with the help of volunteer staff and parents. Hold monthly meetings open to the community to discuss current Health and Safety issues/concerns. Meetings are held on the first Thursday of every month in the OHS Media Center at 12:30pm. It’s never too late to join! Register at any time during the session. Please be sure that your child packs a water bottle. PTA will provide a healthy snack before the kids go to school. This club is run by volunteer teachers, staff, & parents. This club is run by volunteer teachers, staff & parents. FREE to all PTA members / Not a member? Sign up now. What’s a Calm Corner? A Calm Corner is an area where anyone in the class can go to feel calm or settled. Schools throughout the country are using Calm Corners with positive results. Many teachers see Calm Corners as a way to help students tune in to feeling and behavior triggers; to take responsibility for their own behavior; and to foster a supportive and composed classroom culture. Calm Corners can contribute to kids building the important trait of self-efficacy, which is developed when they see that their own actions can lead to real results. Students who regularly use Calm Corners as a positive space can strengthen mindfulness and resilience. And, Calm Corners aren’t just for school – many families in our district are creating space for them at home. For more information, download our Calm Corner Parent Information Sheet. Last year, Brady staff identified 9 Competencies they deemed essential for students to develop before leaving Brady Middle School to embark on their high school career. They are: Grow, Connect, Persevere, Succeed, Think, Present, Lead, Serve, and Practice Digital Responsibility. 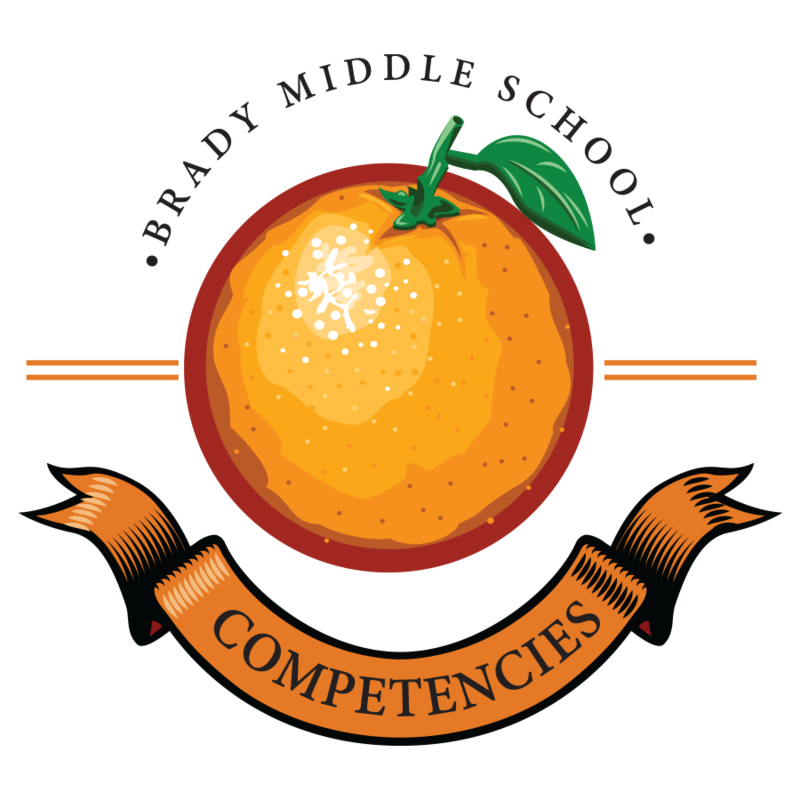 Brady Middle School is providing opportunities for students to develop these competencies throughout the school year, with a special emphasis on one Competency each month.